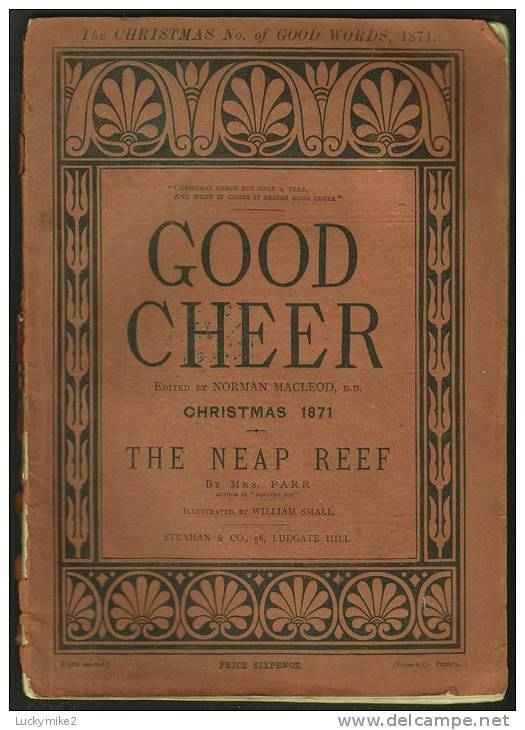 "Good Cheer magazine for Christmas 1871" featuring "The Neap Reef" by 'Mrs Parr', illustrated by William Small. 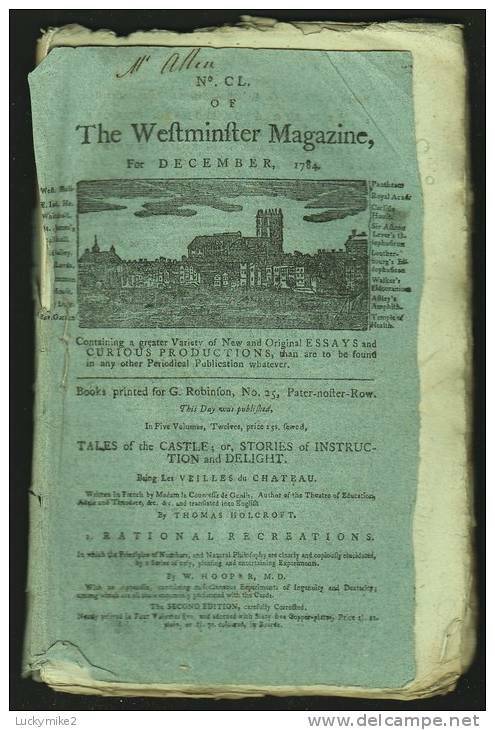 "The Westminster Magazine for December 1784". 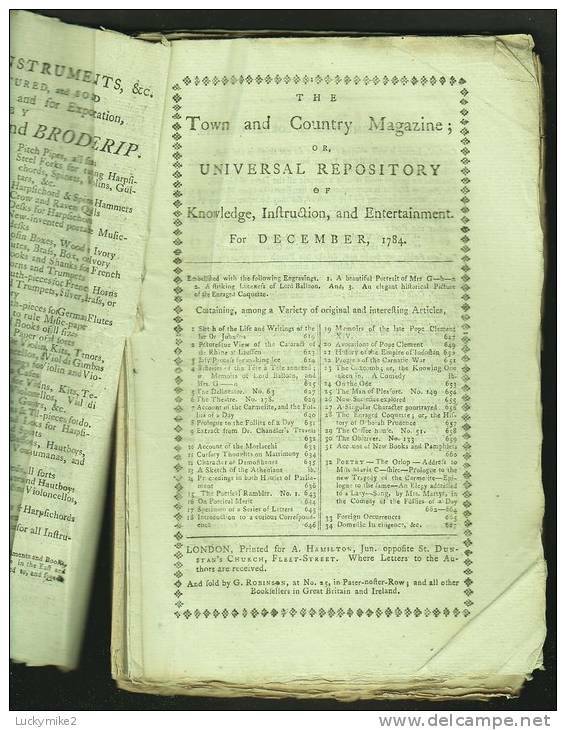 "Town and Country Magazine for December 1784". Caricatures & Dr Samuel Johnson interest. "The Town and Country Magazine Supplement for 1784". 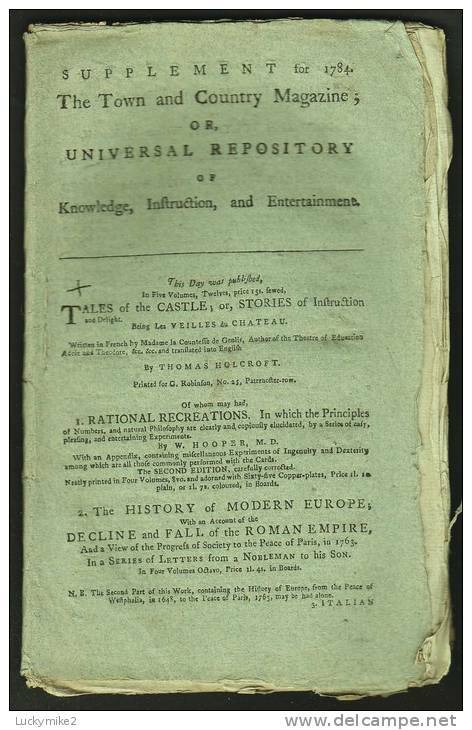 Bill of mortality interest, death of Dr Samuel Johnson. 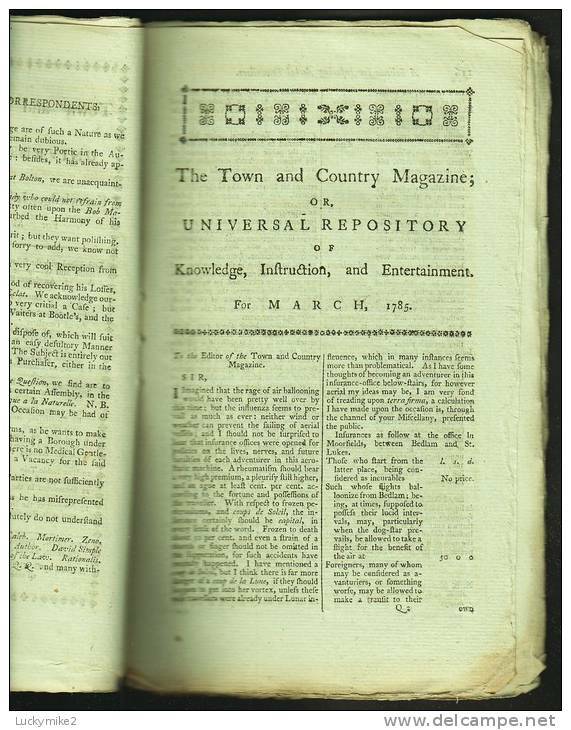 "The Town and Country Magazine for March 1785". Balloon & caricature interest. 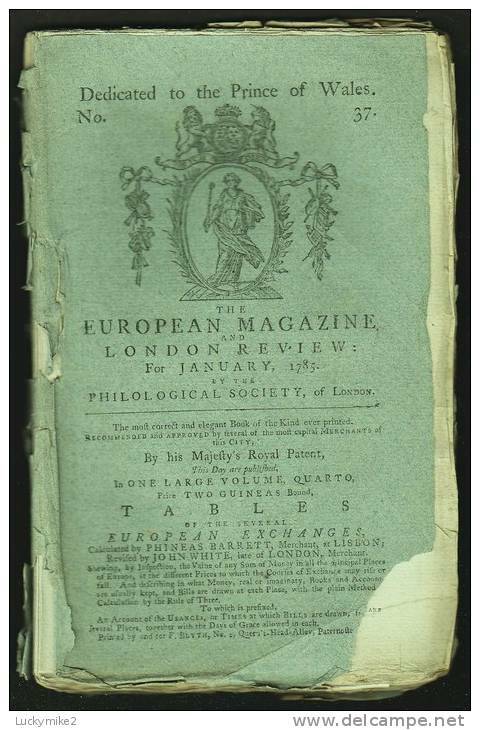 "The European Magazine and London Review for January 1785". Balloon interest.